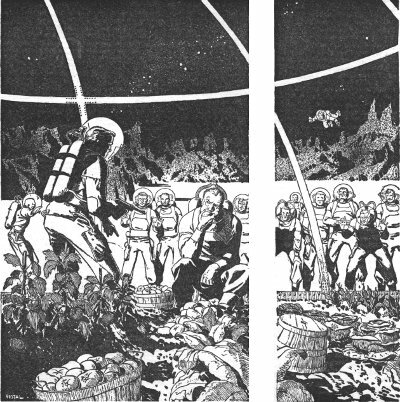 Science fiction writers have long written rapturously of the space gardens of the future, on space ships and on asteroids. One of the earliest references was in The Heritage of the Earth; Harley S. Aldinger wrote about spaceship gardens. I also remember the the inflatable asteroid garden from Asteroid of Fear (1951) by Raymond Z. Gallun.